When you’re budgeting to buy your first home, extra costs that come with your purchase can add up. Find out more about fees and charges to keep in mind so you can set a savings target that will cover all the costs of buying a property. Whether you’re buying property at auction or through private treaty, it’s important to make sure you’re aware of any issues with pests or defects. The total cost of inspections can vary according to the size and type of home, but you should budget for at least $300-400 per property. Although these reports will cost you money upfront, not knowing about a major problem with your future home could lead to a much higher price tag in the future. With a private treaty sale, you can often request and review building and pest inspection reports during the cooling-off period. This means you’ll only be paying for reports after having an offer accepted, and with a good chance that you’ll go ahead with the purchase. When buying at auction, there’s no cooling off period. So any reports must be arranged and issues discussed with the vendor before auction. This is a cost you’ll pay, whether you’re the successful bidder on the property or not. Many home loans come with charges from the bank or lender. These can be a one-off up front arrangement fee and/or ongoing annual fees. Make sure you ask your bank or mortgage broker about any fees involved. When you borrow more than 80% of the purchase price of a property, you may also be required to pay for Lender’s Mortgage Insurance (LMI). This is a one-off premium to protect the lender if you default on your repayments and they experience losses as a result. This cost can often be added to your loan, so you’ll pay it off over time. But it’s still part of the overall cost of buying your home, plus you’ll be paying interest on this amount over the life of your mortgage. You’ll need to have a qualified legal expert – usually a conveyancer – review sale contracts for your home, and make all the necessary arrangements to transfer ownership of the property. They’ll also work with your lender to ensure funds are available for settlement and carry out various property, title and council searches. There are costs incurred for some of these searches and these will usually be bundled together with your conveyancer’s fees. Conveyancing fees will vary, depending on the type of property, ownership structure and details of the purchase. As the buyer of your home, you’ll be liable to pay GST, or stamp duty as it’s called for property. There are two types of stamp duty you’ll need to pay. There’s one amount for the transfer of the property into your name and another for registering your mortgage. The amount changes for different states and territories and also depends on the purchase price of the property. For some property transactions, including buying a first home or building a new home, there are stamp duty concessions available. These discounts on stamp duty vary across states and territories so be sure to check your eligibility on the First Home Owner Grant website. From the time you become the legal owner of the property, you’ll also be liable for repairs caused by accidental damage. So it’s important to arrange buildings insurance for your new home before settlement day. And once you’ve moved in, you’ll also be needing a contents insurance policy too to protect your possessions from theft or damage. When it’s your big day and you become a home owner for the very first time, you’ll be full of excitement about moving in. But don’t forget to allow for the cost of removalists to help you get all your belongings to your new home in one piece. If your property suits your needs perfectly just as it is, you’ll be all set to move in from the date of settlement. But if you have a fresh coat of paint, new carpet or any repairs in mind, it could make sense to arrange for this to happen before moving everything in. So keep this in mind when you’re calculating the budget for a particular property and making an offer. Before you even get to the point of purchasing a property, the whole process of house hunting can cost you a small fortune. According to comparison website finder, there are a whole host of indirect costs involved with tracking down your ideal home. 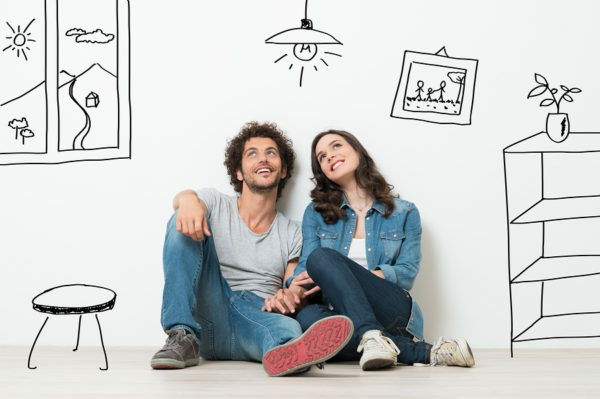 Their guide to the less obvious costs associated with buying a home is worth considering when preparing a budget for the entire experience of finding and buying your ideal home.